A parliamentary report of 1777 recorded parish workhouses in operation at Cossington (for up to 16 inmates), Mountsorrel North-End (16), Rearsby (14), and Syston (14). County of Leicester: Anstey, Barkby, Barkby Thorpe, Barrow-upon-Soar, Beeby, Belgrave, Birstall, Cossington, Cropston, Leicester Frith, Mountsorrel North, Mountsorrel South, Newtown Linford, Queniborough, Quorndon, Ratcliffe-on-the-Wreake, Rearsby, Rothley, Seagrave, Sileby, South Croxton, Swithland, Syston, Thrussington, Thurcaston, North Thurmaston, South Thurmaston, Ulverscroft, Walton on the Wolds, Wanlip, Woodhouse. Later Additions: Leicester Abbey (1858-92), Anstey Pastures (from 1858), Gilroes (from 1858), Beaumont Leys (from 1858), Maplewell Longdale (1866-84), Bradgate Park (1858-84), Rothley Temple (1858-84). The population falling within the Union at the 1831 census had been 18,856 with parishes ranging in size from Barkby Thorpe (population 72) to Quorndon (1,752) and Barrow-upon-Soar itself (1,638). The average annual poor-rate expenditure for the period 1835-7 had been £7,483 or 7s.11d. per head of the population. 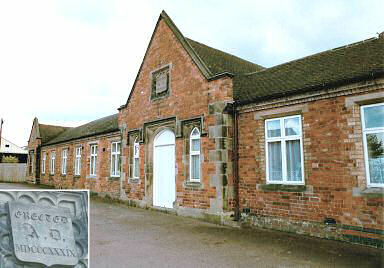 The workhouse later became known as Glenfrith Hospital and Mountsorrel Hospital. Only the single-storey entrance block now remains and has been converted to residential use. By the 1920s, the union had established a children's home at Rothley. In 1924, the home could accommodate 14 children and the Matron was Misss May Parton. The Record Office for Leicestershire, Leicester and Rutland, Long Street, Wigston Magna, Leicester, LE18 2AH. Holdings include: Guardians' minutes (1837-1930); Admissions and discharges (1884-1933); Ledgers (1846-1930); Deceased inmates' property inventory; etc.